The Ashe County Arts Council welcomes the weekend retreat of songwriting, making music, and celebrating the work of Ola Belle Reed with the Song Writer’s Retreat. The workshop will be held at the Ashe Civic Center Friday, April 13 through Sunday, April 15, 2018. It is open to songwriters of all genres and styles, and all accompaniment instruments are welcomed. Instructors: Cathy Fink, Claire Lynch and Sam Gleaves. Tuition $200 adults, $150 students. Assistance available. Call 336-846-2787. The Chris Austin Songwriting Contest, hosted by MerleFest, announces the finalists for the 2017 contest. MerleFest 2017, presented by Window World, takes place from April 27-30, on the campus of Wilkes Community College in Wilkesboro, N.C. The 2017 Hazel Dickens Song Contest is open for entries, top prize $500! Celebrating the life and music of groundbreaking bluegrass songwriter and musician Hazel Dickens, the third annual contest seeks to bring attention to the finest in original bluegrass songwriting. Top prize $500 and a performance at the 2017 DC Bluegrass Festival, 2nd prize $250, 3rd prize $100. Entries must be received by January 5, 2017. Wilkesboro, NC -- MerleFest, presented by Window World, has begun accepting entries for the Chris Austin Songwriting Contest this month and will continue until February 2017. The Chris Austin Songwriting Contest is one of the most acclaimed songwriting contests in roots and Americana music and has a reputation for launching careers and discovering important new talent. Donna Ulisse left Raleigh last week named the 2016 International Bluegrass Music Association's Songwriter of the Year. It is an award she had been nominated for the past four years in a row with 2016 making it her fifth nomination. Having never won, it caused her to often joke that she was the IBMA's Susan Lucci, in reference to Lucci going nineteen years before winning an Emmy for best Daytime Soap Actress. When former winner Becky Buller announced the award, she smiled at Ulisse's table and said, "You are no longer the Susan Lucci of this award." Abingdon, VA -- Blue Highway's Tim Stafford will perform at the 4th Annual Richard Leigh Songwriters Festival this Saturday, May 28, at 6:00 pm at Virginia Highlands Community College (VHCC) in Abingdon. I view songwriters as those special gifted people who just have a wonderful way with expressing abstract concepts into concrete words. There are those who just excel at it while others struggle. Songwriting is that magical world where a few stand in the clouds, way above us mortals who enjoy and savor their works. Wilkesboro, NC -- The Chris Austin Songwriting Contest, hosted by MerleFest, announces finalists for the 2016 contest. MerleFest 2016, presented by Window World, takes place from April 28-May 1, on the campus of Wilkes Community College in Wilkesboro, N.C. Now in its 24th year, the contest is an extraordinary opportunity for aspiring writers to have their original songs heard and judged by a panel of music industry professionals, under the direction of volunteer contest chairperson, Grammy Award-winning singer/songwriter Jim Lauderdale. The first place winners will receive $600 cash from MerleFest and a performance slot on the Cabin Stage on Friday night. Nashville, TN -- The IBMA World of Bluegrass Songwriter Showcase is a coveted opportunity. Ten selected songwriters (or songwriting teams) are given the rare and valuable opportunity to perform one original bluegrass song to the best bluegrass artists and producers in the industry. While the standards will always remain central to the genre, its growth and development is ensured by the creative output of great songwriters! 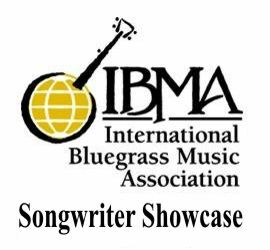 This year’s Songwriter Showcase will take place on Thursday, September 29 during World of Bluegrass in Raleigh, North Carolina. Four time IBMA Songwriter of the Year nominee Donna Ulisse has set the initial 2016 schedule and locations for her Songwriting Escape instrument and songwriting workshops. She and her team will return to all three locations they taught in last year. The 2016 schedule is further down in this article. Alpharetta, GA -- Over 25 nationally recognized singer-songwriters will gather together for three days of concerts on three stages to perform their original songs. The Wire and Wood Songwriters Festival will take place on Friday, October 16 from 5-10 p.m. and Saturday, October 17 from 3-10 p.m. in Alpharetta, Georgia. A free kickoff performance featuring Nashville-based award-winning singer songwriter Liz Longley and bluegrass-country-punk band The Whiskey Gentry will take place at Avalon on Thursday, October 15 from 6-8 p.m. Liz is touring in support of her debut self-titled Sugar Hill Records release. MerleFest, considered one of the premier music festivals in the country, is a celebration of "traditional plus" music. The festival presents a unique mix of music based on the traditional, roots-oriented sounds of the Appalachian region, including bluegrass and old-time music, and expanded to include Americana, country, blues, rock and many other styles. Wilkesboro, NC -- MerleFest, presented by Window World and host of the Chris Austin Songwriting Contest, will begin accepting entries for the songwriting contest beginning October 1. Aspiring songwriters may submit entries to the contest using the online entry form or by mailing entries to: MerleFest/CASC, PO Box 120, Wilkesboro, NC 28697. Early birds take note: during the month of October and November, all entries for the Chris Austin Songwriting Contest (CASC) will receive an early entry discount price of $25 per entry. Submissions received in December and January will require a $30 fee per entry. The deadline to enter the CASC will be February 1, 2016. Gatlinburg, TN -- The sounds of some of the biggest hits in country, gospel and bluegrass music will resonate through the streets of Gatlinburg when Smoky Mountains Songwriters Festival comes to town August 19 through August 23. The festival will feature over 130 acts of songwriters and musicians who have shaped the top Billboard charts for generations as well as those just getting started in the music industry.